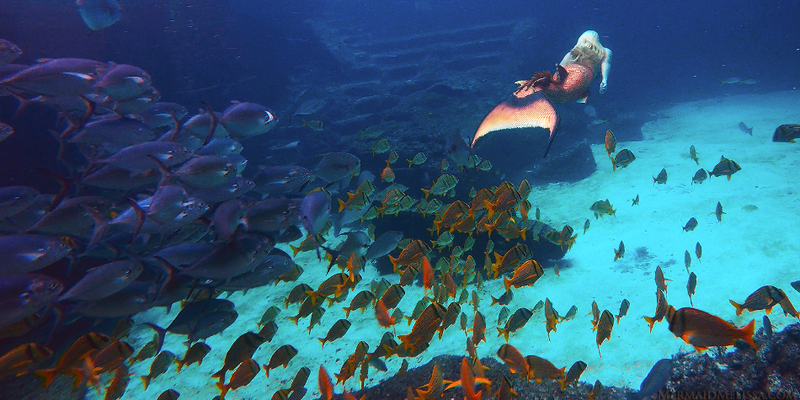 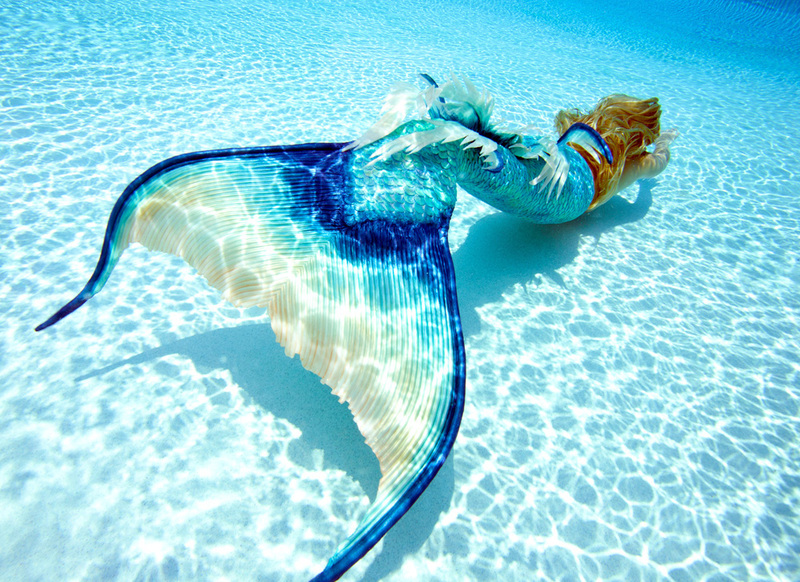 Mermaid Melissa’s latest underwater adventures have been spotted in the Caribbean swimming off the coast of Cozumel, Mexico. 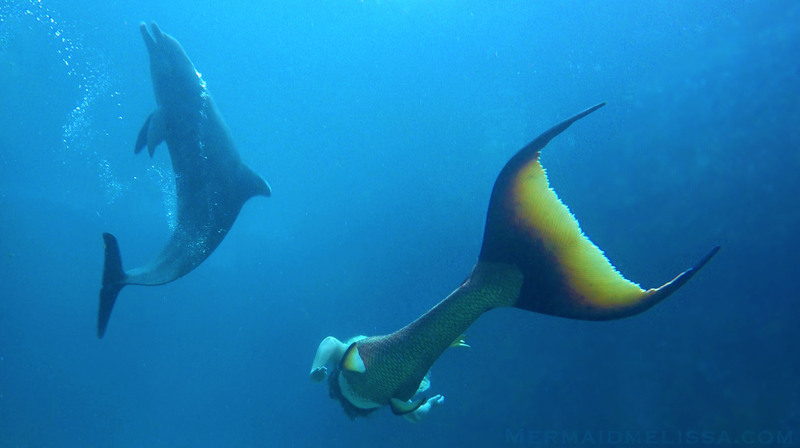 Hearing the playful call of dolphins near the shore, she swims past the coral reefs to spend the day building a loving bond with a pod of friendly dolphins. 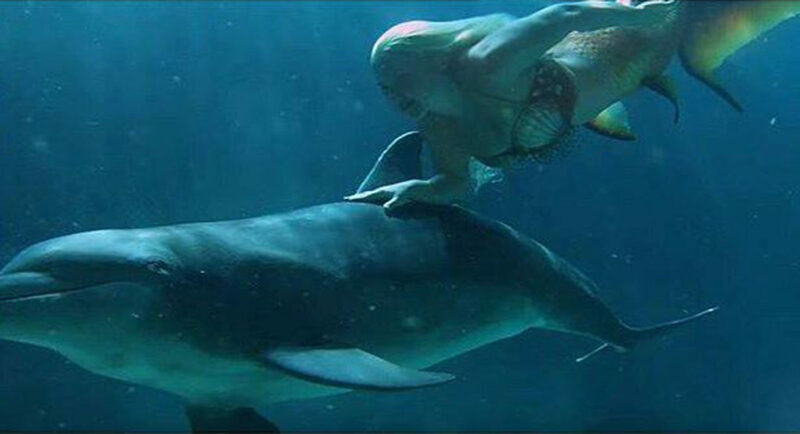 A special connection between mermaid and dolphins becomes a real life fairy tale come true!